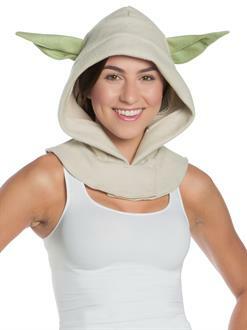 This Jedi Master really knows how to party in this item from BuyCostumes.com. Show your friends that there is something awesome about dressing up as the most loved character from Star Wars when you walk in with this as Adult Yoda Hood. So, if you are looking for the one item that will transform you into the wisest old man in the galaxy, then this item is totally for you.